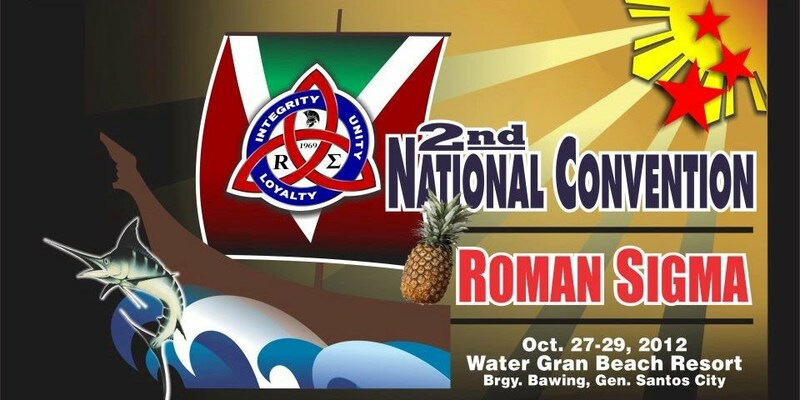 Roman Sigma will hold its Strategic Planning Workshop and 1st National Executive Council (NEC) Meeting on April 20, 2013 at the Mindanao Training Resource Center, Davao Medical School Foundation, Bajada, Davao City. The Strategic Planning is conducted in order to define the direction of Roman Sigma through its Vision, Mission, Goals and Programs for the years 2013 to 2020. The National Executive Council is expected to deliberate and approve the enhanced constitution and by laws. With the objective of gathering inputs from key informants and the members, a survey is being conducted online @ https://sites.google.com/site/romansigmafraternitysorority/survey-2013 . 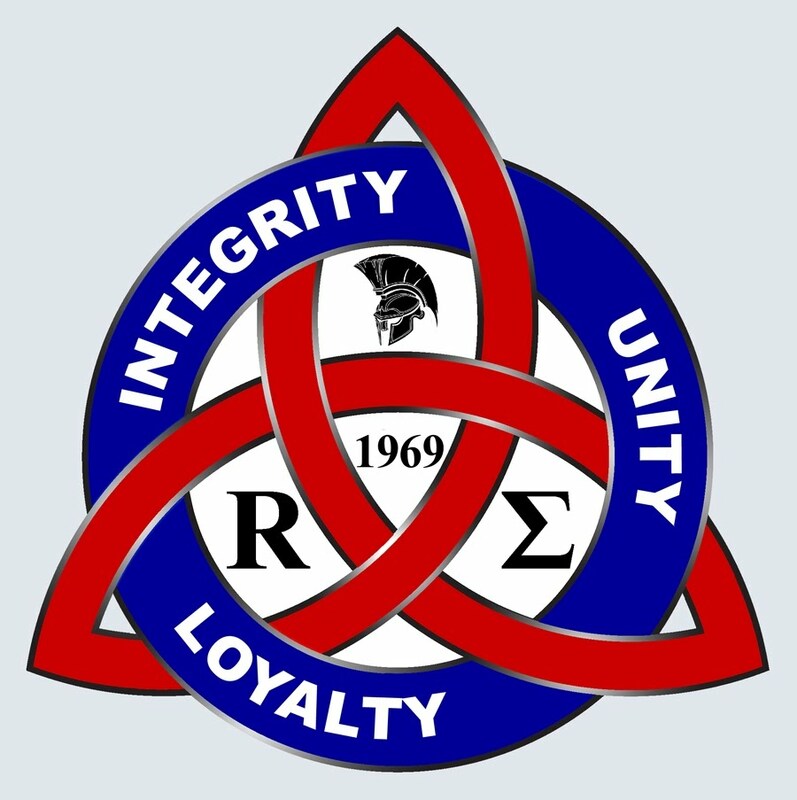 Roman Sigma adopts "No Hazing Policy"
The General Assembly passed on October 28, 2012 Resolution No. 3 Series of 2012 - Adopting A No Hazing Policy in compliance with Republic Act No. 8049 otherwise known as "Anti-Hazing Law of the Philippines". The resolution was passed by Sister Gina Perez-Johnston, with amendment introduced by Brod Epimaco Cabanlit. It is expected that the National Executive Council will issue an new guidelines for the standards of recruitment and initiations effective immediately. Section 1. Hazing, as used in this Act, is an initiation rite or practice as a prerequisite for admission into membership in a fraternity, sorority or organization by placing the recruit, neophyte or applicant in some embarrassing or humiliating situations such as forcing him to do menial, silly, foolish and other similar tasks or activities or otherwise subjecting him to physical or psychological suffering or injury. The term "organization" shall include any club or the Armed Forces of the Philippines, Philippine National Police, Philippine Military Academy, or officer and cadet corp of the Citizen's Military Training and Citizen's Army Training. The physical, mental and psychological testing and training procedure and practices to determine and enhance the physical, mental and psychological fitness of prospective regular members of the Armed Forces of the Philippines and the Philippine National Police as approved ny the Secretary of National Defense and the National Police Commission duly recommended by the Chief of Staff, Armed Forces of the Philippines and the Director General of the Philippine National Police shall not be considered as hazing for the purposes of this Act. Sec. 2. No hazing or initiation rites in any form or manner by a fraternity, sorority or organization shall be allowed without prior written notice to the school authorities or head of organization seven (7) days before the conduct of such initiation. The written notice shall indicate the period of the initiation activities which shall not exceed three (3) days, shall include the names of those to be subjected to such activities, and shall further contain an undertaking that no physical violence be employed by anybody during such initiation rites. Sec. 3. The head of the school or organization or their representatives must assign at least two (2) representatives of the school or organization, as the case may be, to be present during the initiation. It is the duty of such representative to see to it that no physical harm of any kind shall be inflicted upon a recruit, neophyte or applicant. Sec. 5. If any provision or part of this Act is declared invalid or unconstitutional, the other parts or provisions thereof shall remain valid and effective. Sec. 6. All laws, orders, rules or regulations which are inconsistent with or contrary to the provisions of this Act are hereby amended or repealed accordingly. Sec. 7. This Act shall take effect fifteen (15) calendar days after its publication in at least two (2) national newspapers of general circulation. From: Elgien Verano, as posted on Facebook. Kon mopadala mo sa inyong contribution, palihug ug send sa inyong name ug amount nga inyong gipadala kang Brod Jun (Roquito) Malunes cell- 0905 810 0874 para dali ang paggconfirm, kon mopadala mo via Mhuiller ang iyang address: Roquito Malunes, Purok XI Tincagan, Gen. Santos........since dili siya active diri sa FB you can send him text instead.